Appeals to all skill levels from beginners to masters. Encouraging girls to use their imagination through dance. Learn proper pom and cheer techniques. An innovative, step-by-step drawing method. Including piano and guitar taught by master teachers. Hands-on activities to educate and enrich. Thank you for your interest in Jenks Community Education classes. We strive to offer a variety of quality offerings to educate and inspire young people so they can lead productive lives and positively impact the community. Participating in Jenks Community Education programs helps support Jenks Public Schools—thank you for partnering with us to contribute to our District! Come out and swim--and be part of the team! The Jenks Trojan Swim Club offers professional instruction for swimmers (ages 6-18) from Jenks and the surrounding area. 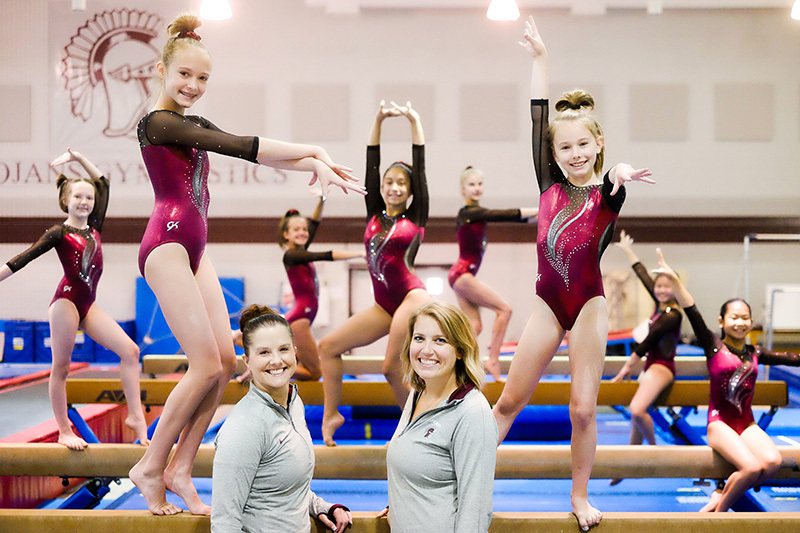 We offer recreational to competitive gymnastics for all skill levels. Our experienced staff members and world-class facility promise to keep your son or daughter engaged, safe and having fun!